No brand is free from crises. They can happen to anyone, anywhere and anytime, so all organizations must be prepared in the event that a crisis spreads. Having a crisis communication plan in place will help your brand weather the worst crises and come out on top. 62 percent of those surveyed plan to use social media to gather information during a crisis. 58 percent say mobile technologies are absolutely vital to carry out crisis communication plans. 40 percent of organizations have a specific strategy in place for using social during a crisis. Preparation is everything for a crisis communication plan. The more you plan ahead of time, the more equipped you’ll be to handle any situation. Consider all possible crises and develop strategies for handling each one. Create holding statements, or prepared responses, to use when a crisis hits so that you don’t need to build your communication completely from scratch. 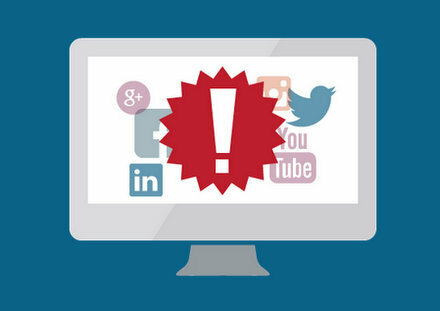 Monitor social media to keep an eye on public sentiment and get ahead of a crisis before it starts. When a crisis hits, stop everything and focus on the immediate issue. Don’t panic or feel like you need to respond right away. While it can often be tempting to jump to the defensive, being cautious is more beneficial. Take a step back and assess the situation before making any rash decisions. But don’t be silent either. Respond in a timely manner and communicate honestly and simply. Be sure your messaging is consistent across all channels and monitor the impact. Just because the crisis has ended doesn’t mean your communication should, too. Follow up your words with actions. 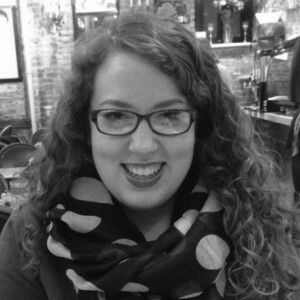 If you’re changing or adjusting your operations, tell people about it. Take a look at the effects of your communication during the crisis and assess what worked well and what didn’t. Review your tactics, and adjust your crisis communication plan for the future to ensure that the next time a crisis strikes, you’ll be even more prepared. 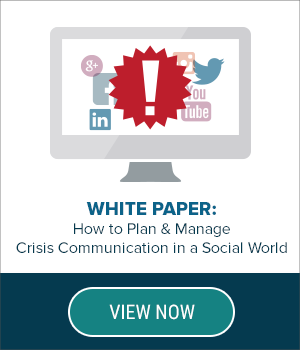 Want a more in-depth look at planning your crisis communication? 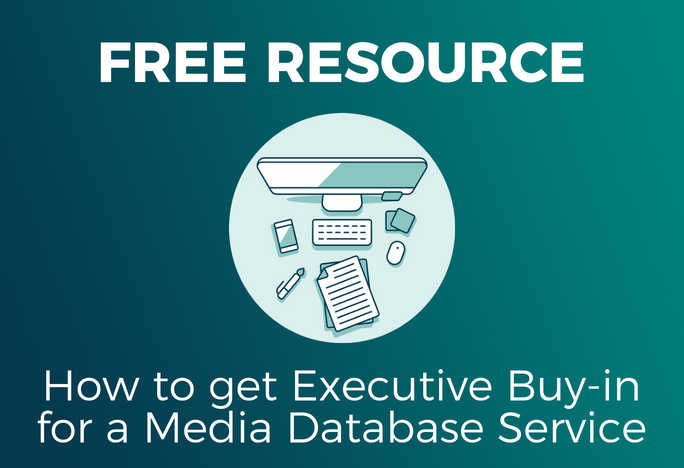 Click here for our free white paper now!